Gorgeous HIDDEN GEM in North End of Tremont! Very LOW Traffic Side street (Hard to Find) Right in the Middle of Everything! 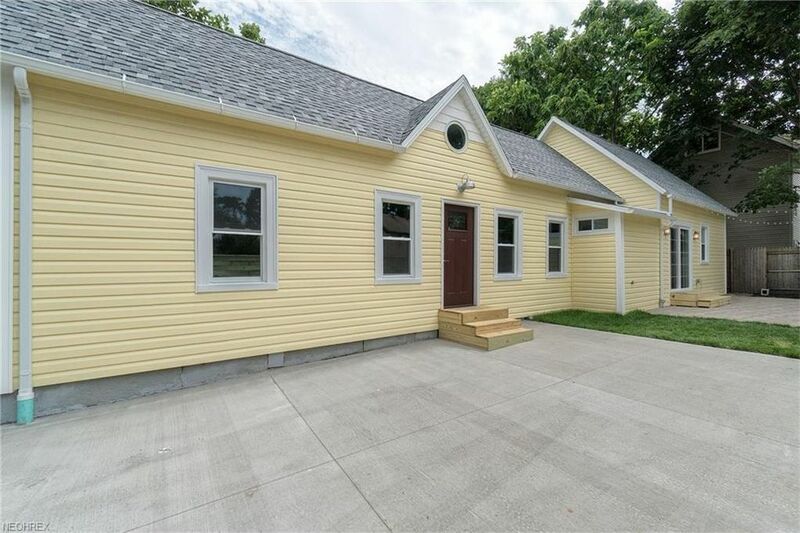 This Beautiful Single Family Home is Ready to Move Right In! All New Interior and Mostly Newer Exterior! Privacy Fenced Yard with Paver Patio and Concrete Off Street Parking Pad! Vinyl Sided with all New Windows and Doors! OPEN and VAULTED Floor Plan! New Forced Air Gas Furnace and Central Air Conditioning! All New Kitchen with Solid Marblelike Counters! New Stainless Dishwasher, Stove and Microwave Oven! All New Laminate Flooring Foyer Through Kitchen, Great Room and First Floor Master Bedroom! Master Bedroom has Private Full Bath! Also, there's a First Floor Laundry! Very Private Second Bedroom on Second Floor Overlooks the Great Room! And at Opposite End of House is a Loft that could be used as an office, hobby room or guest room! But Wait there's More... Just Like Cracker Jack there's a Surprise Inside! And a Storage Shed Included Inside the back of house for all your Toys/Bikes/Patio Furniture! Located near Lincoln Park Right by the Camp Cleveland Site and ALL the Trendy Bars and Restaurants! Half Block to Barrio's and Fat Cats! Includes: Two Car Off Street Parking Pad and Spacious Patio!